Hello and welcome back to my blog. Cannot believe we are already in the month of March! Where did February go? Time is flying a tad too fast for my liking. Anyway, I have a birthday card to share today. My most used cards are birthday cards. I make lots of them and still run short of it. 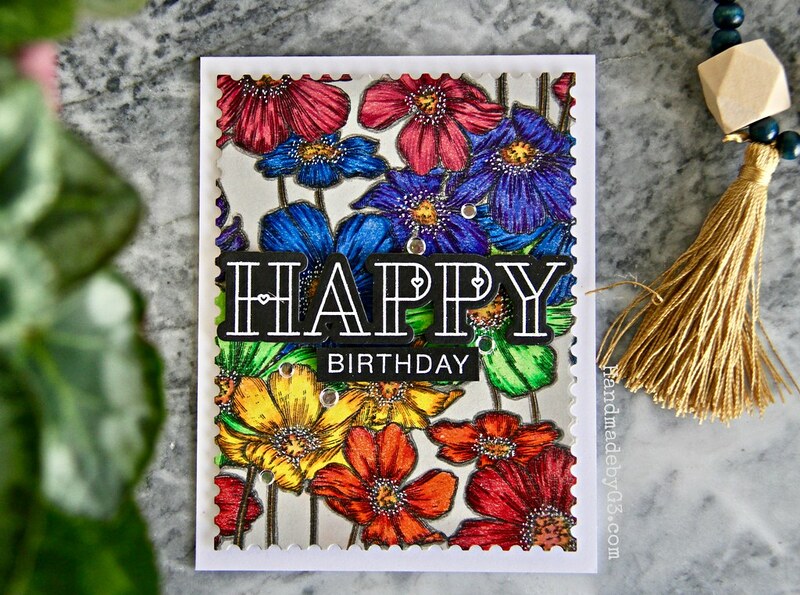 Here is a colourful one using Simon Says Stamp’s Cosmos background stamp set. 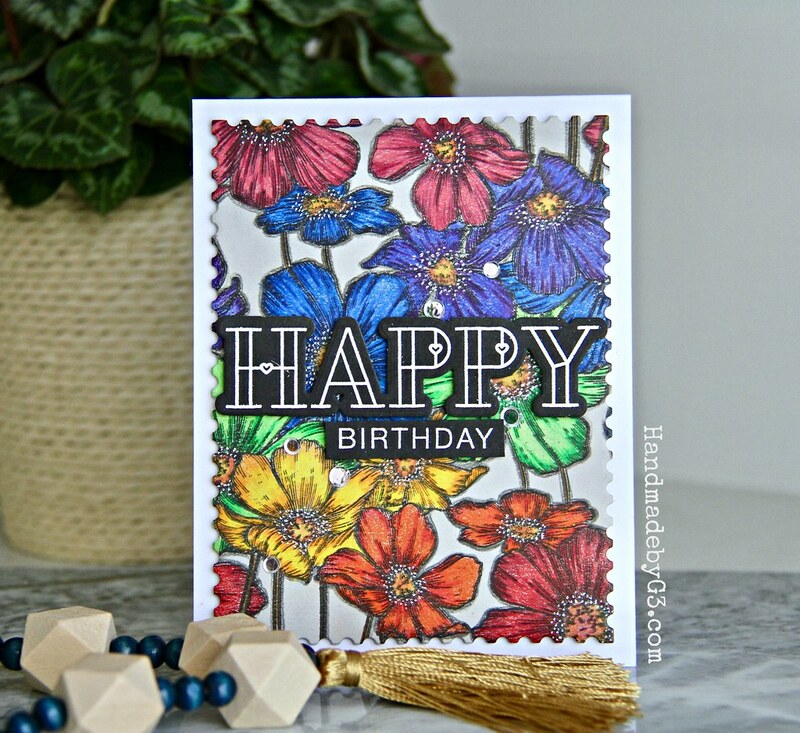 I stamped the Simon Says Stamp Cosmos background stamp on fog cardstock panel using MISTI and Simon Says Stamp Intense Black ink. I coloured the flowers using PolyChromos pencils. These are from Faber Castell. I chose to do rainbow colours because I love rainbows. I went over the outline of the images with black colour polychromos pencil. Yes I went over the details as well. I am crazy sometimes lol! For the shadow effect, I outlined the image using grey pencil as well. Takes a bit of time outlining the images. Yes I am mad! lol! 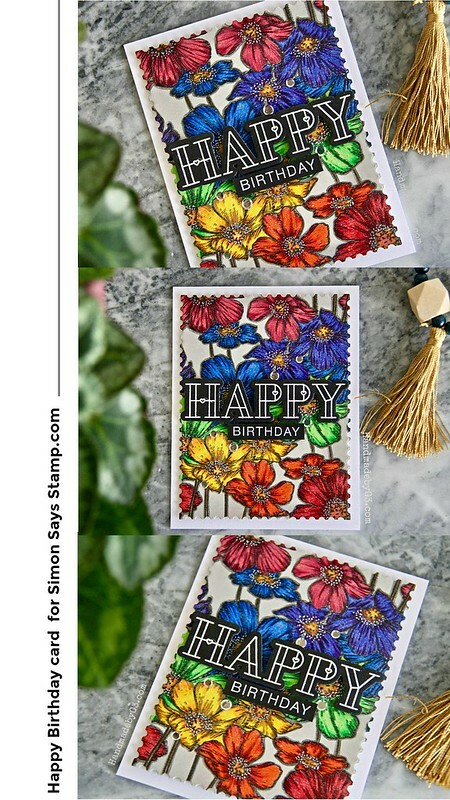 I die cut this panel using the largest of Simon Says Stamp Postage Stamp Edge die. 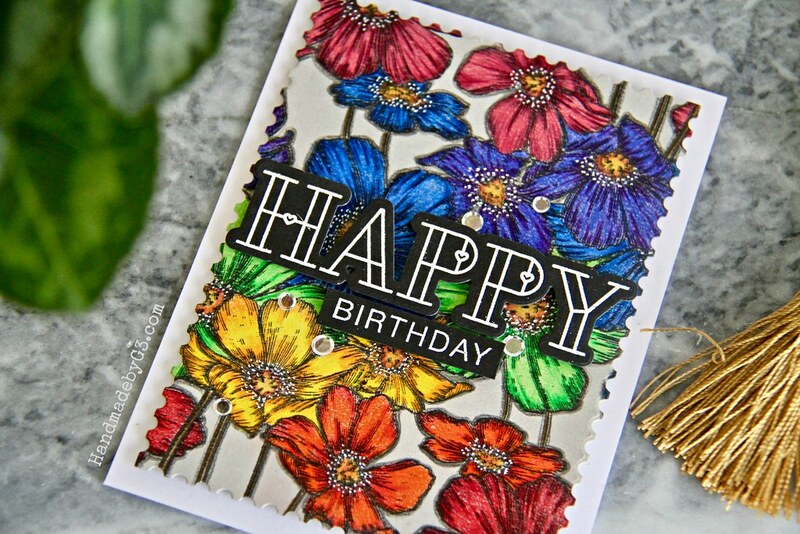 Then I added white details on the centre of the flowers using Sakura white gelly roll pen. 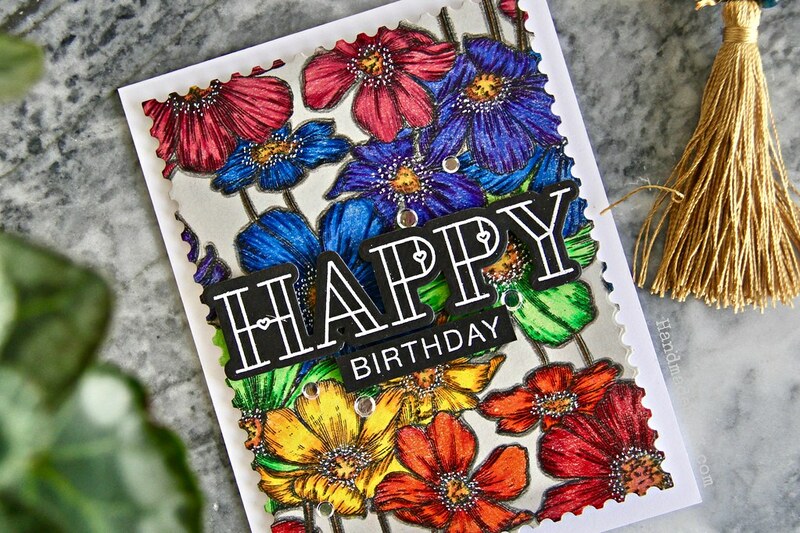 For the sentiment I white heat embossed the bigger and smaller sentiments from Stained Glass Love stamp set on black cardstock and die cut the bigger sentiment using the coordinating die. The smaller sentiment, I just trimmed. I adhered the background panel on a white card base and the sentiments on the centre of the background panel using foam adhesives. Moonshine Confetti to embellish the card. If you like to bookmark my card on your Pinterest board, here is the image. Hope my card has inspired you. Thank you very much for stopping by!